I was in Worm’s Way last spring and overheard a customer asking about making compost. I thought the employee was skirting the issue and since I can’t keep my mouth shut I offered a summary: “If it stinks, add carbon. If it isn’t hot add nitrogen.” That may be an oversimplification so I’ll try to lay it out in more detail. We have composted for years. Initially I took it very seriously. I sunk posts and made a perfectly square pair of 3x3x3 bins for composting. I turned my piles regularly and religiously. Now I am much more relaxed about it. Stuff rots. It just happens. I don’t even have to be involved, let alone break my back stirring it, unless I need to speed things along. That said, I think there is a happy medium between rapid, intensive compost management and slow, smelly, neglected piles. Just a few things to keep in mind as you conceptualize your compost pile. 1. You can’t screw this up. 2. The hot, working compost pile is a living organism, or rather, a community of trillions of individuals but should bee seen as one. 3. Living things don’t smell rotten. Compost should not smell rotten. Add carbon. 4. The compost monster likes to be moist, not wet. Add carbon. 5. The compost monster shouldn’t be compressed. It needs to be able to breathe. Add carbon. 6. If your pile is moist and has plenty of air space but is not hot, add some nitrogen. 7. This is not a science…or a competition. Most people tell you about ratios required for making compost. “You need C/N ratio of 30:1.” Really? What does that mean? Usually I just have a bucket of carrot peelings and newspaper. Ratios? I have to do math? …AND CHEMISTRY! Really?!?! As Tyler Durden said, “…stop being perfect…let the chips fall where they may”. He’s right. Again, if your compost pile is wet or stinky, add some carbon (straw, sawdust, shredded newspaper, fallen tree leaves). The added brown material will also help the pile breathe. 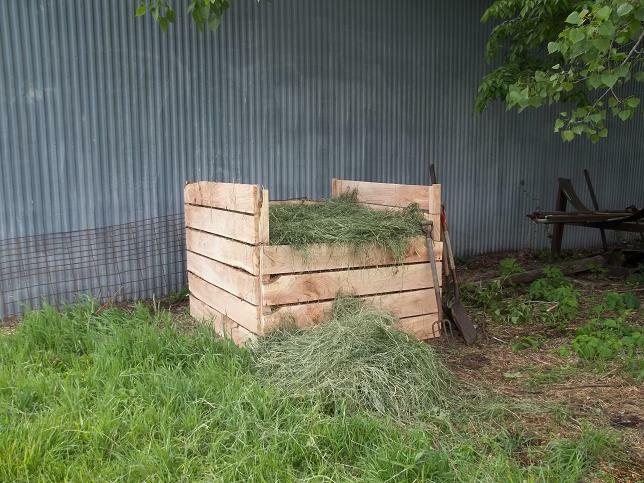 If it’s not hot and cooking, add nitrogen (grass clippings, fresh horse manure, urine). 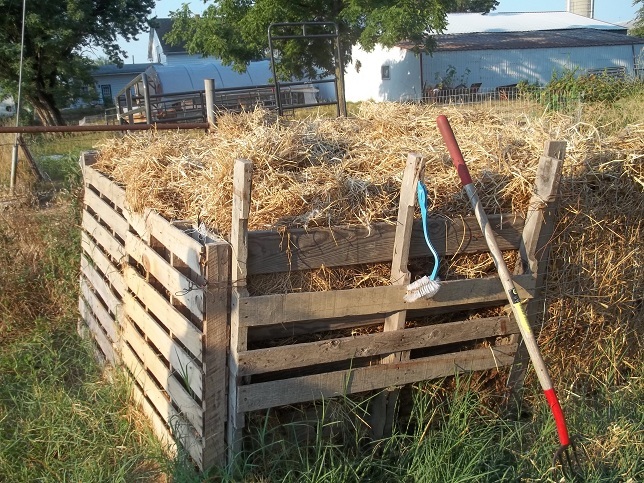 I also find it is helpful to keep a thick layer of straw, grass or other course brown material on top of the pile to retain moisture and filter odors. Whatever you do, stop worrying about your compost. There is room for error here. Stop making excuses and just get started. Last year we increased our pile to 5x5x4 when we began composting humanure and about 1,000 pounds of chicken guts hoping it would be big enough. Now I’m using pallets to make a 6x6x4 compost pile that could easily become 9x6x4 or even 12x6x4. I just have to add more pallets. But I’m on a different timeline than many gardeners. I make so much compost and have so much space that I don’t mind if it takes 2 years to make compost. But you may need the fertility immediatly. If so, there are options. One option is a composter. Though not my style, I like the look of the Lifetime 80-gallon composter. Click the image for more detail including a video. That composter appears to be a way to compost without ticking off your suburban neighbors. It also creates the compost fairly quickly. John Kohler suggests you keep two of these, one you add to regularly, one that is finishing up. Please notice how hard John has to work in his video. If you’re doing a larger amount and your back is strong you can make two piles and just switch between them every day for two weeks to end with finished compost. That sounds good…until about day 4. What about compost activator? What about wood ashes? What about lime? Meh. John Kohler above says to add rock powder. Again, meh. If you need lime in your garden add it directly to your garden. Same with ashes and rock powder. I think compost activator is something they sell to suckers. The organisms that break down scraps already live in your yard. They’ll start working quickly. That said, I usually add a bit of finished compost to a new compost pile. So what have you done by composting? You have worked hard to decrease the nutrients badly. Most of them go into the air. Composting consumes them. We want to get right out of composting. We want to get back into sheet mulching. In composting, you are taking a lot of material, putting it into a small place, and letting the whole of the decomposition activity happen under hot conditions which can be appropriate for some things. When you mulch, you are spreading those materials and letting the process occur much more slowly on the surface of the soil. Any leach loss goes into the soil, and the general level of activity spreads across the whole of it. 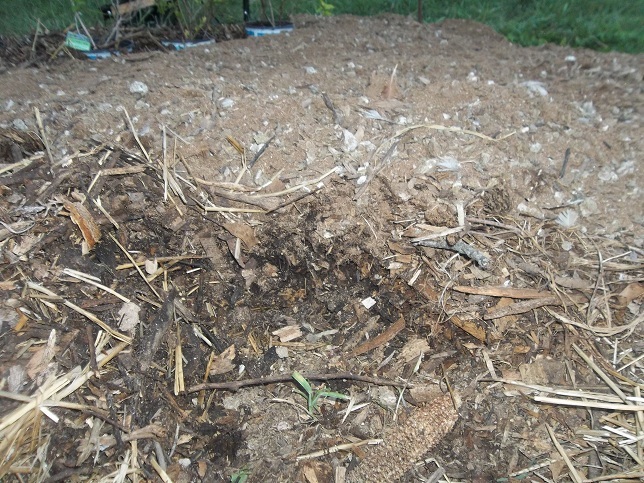 By the time the mulch has reduced to compost, most of the action has finished. If you want to get maximum value out of what you have, sheet mulch it. If you want to increase your nutrient base, do it efficiently. 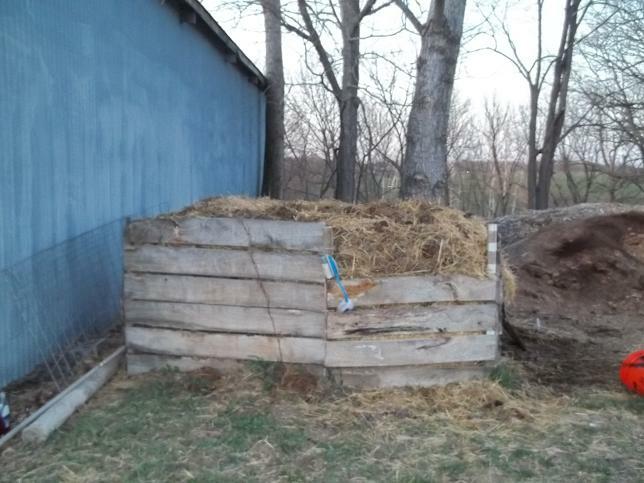 In this picture, I have a 4″ layer of manure and hay covered by a 4-6″ layer of composted wood chips. This is covered by a thin layer of bedding out of the chicken house (manure and sawdust). This is my attempt at a Back to Eden garden. I’ll leave these layers as they are until spring when I’ll plant directly into them. As Bill suggests above, I could scratch a hole deep into the layers and deposit compost here. We produce an enormous volume of compost, much of which is meat scrap. I have enough trouble with animals digging in my garden already. We work to efficiently compost meat scrap and manures in a heap though, yes, I have to haul it there then haul it out. I honestly don’t know how to measure the nutrient loss Bill describes. I assume my compost pile is not 100% efficient but that’s part of the reason I’m always building it in different places. But, hey, wear what you dig. Any way you do it, it’s well within your ability to compost. Build a pile, use a turning machine or bury it in the garden. Your choice. Just do your best to minimize the waste coming out of your house. 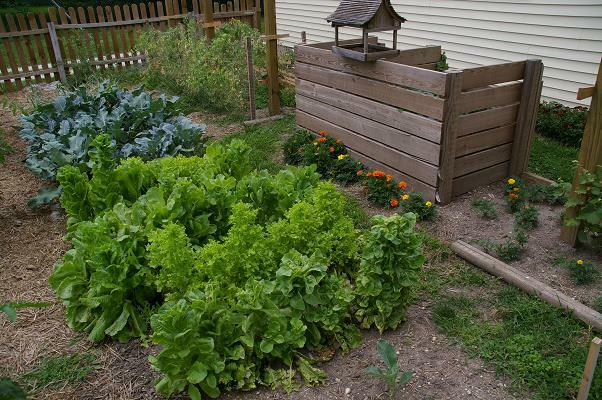 Do your best to maximize the nutrients returning to your garden. For additional reading I highly recommend the Humanure Handbook. Even if you are not interested in humanure, the book is an excellent reference on composting. For your final exam, choose a method of composting to begin using then report in the comments on its progress and your experience. 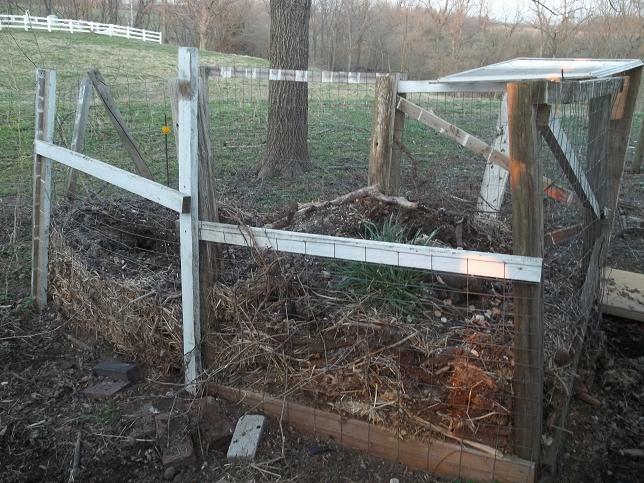 This entry was posted in Composting and tagged Back to Eden Garden, Bill Mollison, Building a compost pile, Compost Pile, Composter, Humanure, Sheet Mulching. Bookmark the permalink. ← Composting 100: Why bother? Thank you. I get it…I think you’re supposed to add carbon. I have a compost bin in progress that I got more serious about this summer (at least occasionally). It doesn’t stink. It looks pretty dry. It probably gets more carbon than anything else. Critter issues? Can you speak on that? Only add more carbon if it stinks or is wet. If it’s dry it needs a little water. If it’s cool but moist it needs nitrogen. When I open ours I can feel the heat on my face and hands. No kidding. I should have put in more critter prevention detail. When you get it right, and you will, critters aren’t much of a problem. A whole dead chicken will quickly cook then decompose before a critter can find it. In about 2-3 days a chicken is reduced down to some slime and a few bones. To be sure, roll out a bit of fencing or wire to lay on top of the pile. The thing I like most about this post is the theme of just do it. To often we allow our selves to get bogged down thinking there is only one right way to do something. Thanks for the great information! Did your compost pile wash away in the recent rain? Actually it flushed out my coop and run then nicely piled all of the mulch, straw, dirt, and chicken poo against the one chainlink fence that didnt wash away. It’s all ready to pile up and cook!